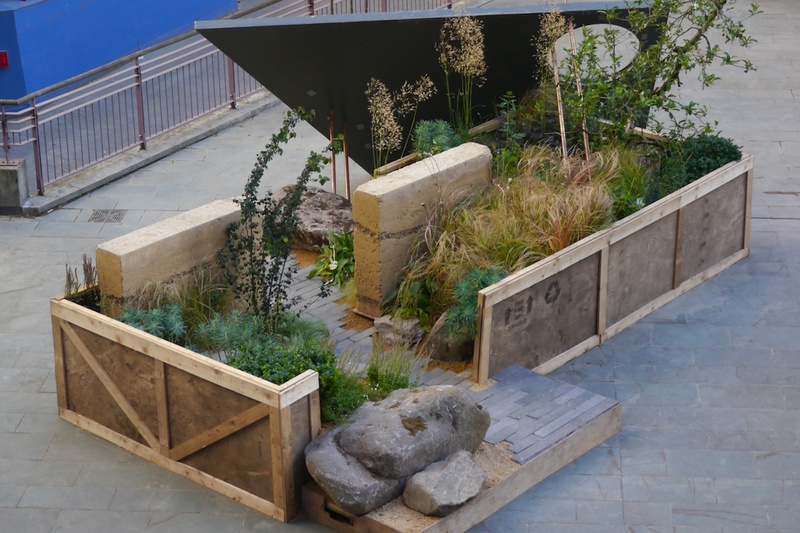 The first Remix Garden, which took the hard landscaping elements and plants from Wilson McWilliam Studio's Cloudy Bay Discovery Garden at RHS Chelsea Flower Show 2013, and 'remixed' them into a new design, set the scene and introduced the narrative for the project. The idea behind the design was inspired after a visit by the Remixers to the site where all the 'ingredients' of the original show garden designed by Wilson McWilliam Studio were being kept after RHS Chelsea Flower Show. 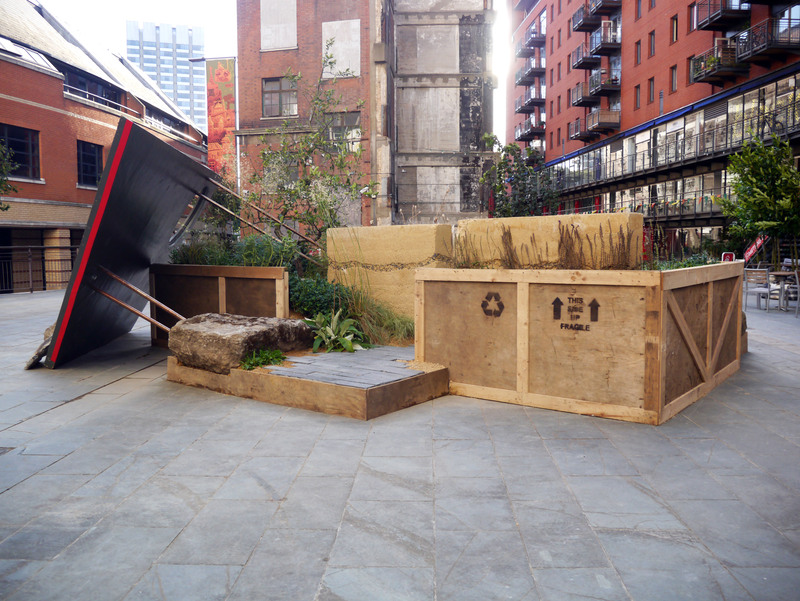 The idea developed around the theme of storage, whereby the garden had been packed up and transported, from its original location to its new site at Oxo Tower Wharf. Upon delivery the packing crate appears to have broken open, with its contents spilling out revealing a new remixed arrangement. show. His garden installation revealed a hands-on intimacy with the materials, deftly condensing them into a distinctly recognisable shorthand form, a catalogue of the original garden's identifyable elements, including the roof canopy, copper rods, rammed earth walls, boulders, paving stones and plants. The compact form of the installation explores the manner in which objects can be reconfigured and recombined into new forms, in such a way to create a series of new focal points and pedestrian pathways. 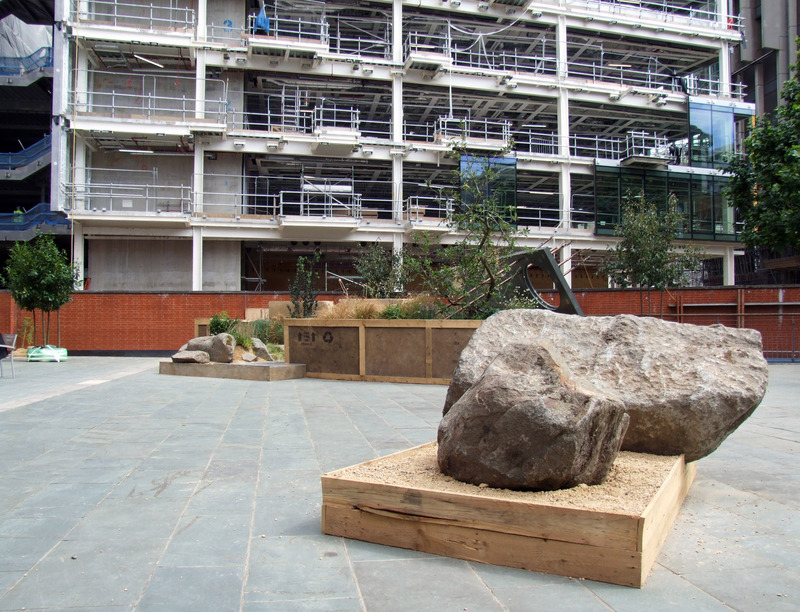 The installation's location drew the courtyard in towards the garden, providing an intriguing composition and drawing the public towards it to explore. 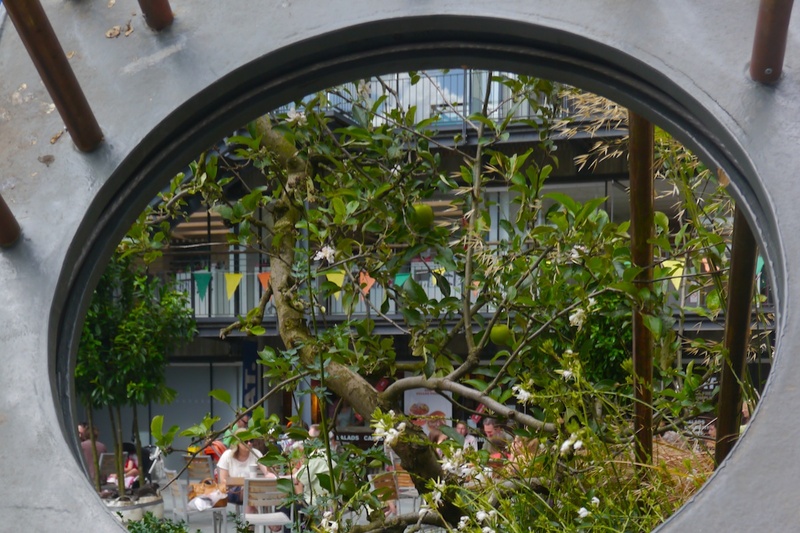 The work provided informal perching places, complimenting the existing adjacent outdoor cafe seating, attracting the lunchtime crowds on sunny afternoons.